As I mentioned in my previous post, part of my new year's resolution is to start taking some classes with Maya. Agility came to be my top choice. I believe it's a great way to stimulate her both physically and mentally, while on the same time work on her impulse control and obedience. Walk in big circles with the dog next to you, stop and ask her to do a "sit", walk a few more circles, stop and ask her to do a "down". Turn and walk in opposite directions and repeat the commands. Ask her to do a "sit and stay", walk away, and ask her to "come". Then ask her to do a "down and stay", walk away, and ask her to "come". Play tug or fetch with the dog using a toy. Lure the dog to touch, step and stand on uneven and rocking surfaces. Shaping exercises to build confidence and foster a fully engaged 'thinking' dog that wants to work and readily offers behaviors. Balance and coordination (for both person and dog). I am really excited and looking forward to this new activity. Hope she'll enjoy it as well. I hope you an Maya have fun! I'd like to get into something like this with Conker. I feel he needs something to boost his confidence around strangers and in scary places but due to his obvious nervousness and stress when inside any building that's not home, that makes finding a good class very difficult. Plus almost all of them around here do the "pop-release-praise" type of training which is NOT my thing at all. I think that Rally would probably be a good starting point for Conker since it's not as serious as Obedience and not as scary as Agility. I'd like to find an outdoor training place but I highly doubt that's going to happen. If I register him with the the AKC's PIL/LIP program (since I've got no papers on him other than adoption forms) I can attend AKC events, which is basically the only stuff that goes on here. But if I can get him better inside buildings and around strangers, the possibility of a title (even just an RN and stopping there) would be a huge thing for Conker. So glad that you are starting the Agility Foundation class soon with Maya. 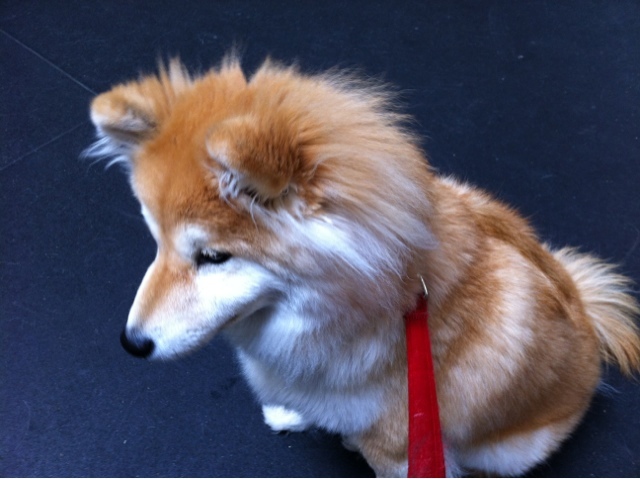 It is really fun to spend dedicated time doing something together and engaging your dog in a more structured way. 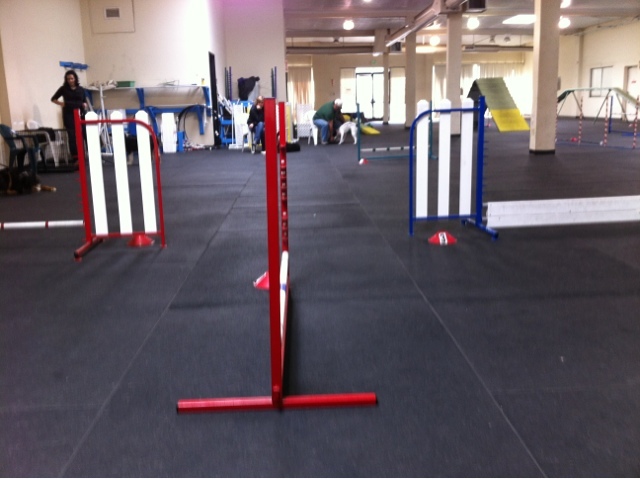 We are getting pretty hooked to Agility training now, especially with Koji. We do a lot of foundation training where you work on small pieces of what will be needed down the road on the ground, "flatwork", such as running contacts, jumping skills (building drive and tight turn etc) with one instructor and at the other facility, it really does not teach the foundations much and is Day 1 on equipment and starting to do sequences pretty fast. Koji enjoys both. However, I can see the value of the foundation work pays off down the road. It will make both you and your dog much more comfortable when you do run a course later on. Have you tried desensitizing Conker to decrease his stress inside a building and around strangers? It takes time to work it through, but I am sure you will see improvements, no matter how small they are. If you don't keep trying, the problems will always be there. Good luck! According to the trainer, we might not be touching any equipments for a while, which is totally fine with me. I always wanted to enroll Maya in a more advanced obedience class to work on her impulse control, and this seems to be a great substitute. Our local humane society does offer a few outdoors classes. Maybe you can check with the ones around your area as well. @DogNewbie I have in the past but not much recently. Been a little busy, which is why I want to actually attempt to make some headway this year. @Maya Yes, he is generally good with other dogs. Polite dogs who don't get all up in his face. My other two dogs are the ones who really got him to like water and I was thinking of taking one of them with me when I take Conker out and about now, since they love anyone and everyone and don't much care about the environment they're in. He might be able to learn from them (he does learn from watching really well, actually) that it's okay to be in buildings and around people. After we did our initial sets of basic obedience classes right after I got them, we stopped going to classes for a very long time. I still read up and train them at home and was very happy with how well-behaved and good manners they are around me. Then about 6-7 months ago, Lindsay and I started talking about trying Rally-O, which got me started taking the dogs back to classes. At first, I thought those doggie sports or events are boring. I bet my pet dogs enjoy life more than those poor canine athletes, but as I did more classes and also practice and learn on my own, I realize training and keeping them in class and engaged with you is really wonderful. Many of the doggie sports/activities require teamwork and a good bond and they really help you developing a great relationship with your dog. Whatever the activities you choose for Maya, have fun and enjoy the ride together. If you make work/training=play/games, both of you will enjoy each other's company. Maluko was a more reserved and sensitive dog when I got her and was weary of strangers. I don't think she was outright fearful, but she would turn away from a friendly stranger wanting to pet her. People in my neighborhood that had met her back then was very surprised to see how much progress she has made when they see her now. She is still a sensitive dog, but she learns that strangers are fine. She will not greet like a super friendly Lab unless it is someone that she really loves like Lindsay and our other Shiba friend Pam in the area, but she will stick around and let most strangers say hi to her. All I want to say is keep trying and you will see improvements. It is great that you are giving this another try. By helping our dogs with some quirks they have will greatly improve their quality of life and mine and that's why I hardly ever give up on trying. Good luck!